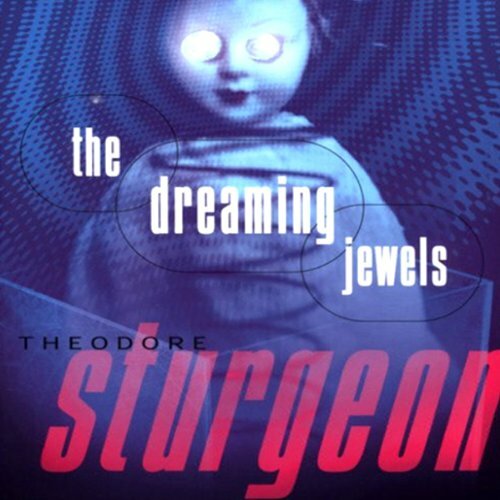 The Dreaming Jewels is Theodore Sturgeon's first novel, written in 1950. Eight-year-old Horty Bluett has never known love. His adoptive parents are violent; his classmates are cruel. So he runs away from home and joins a carnival. Performing alongside the fireaters, snakemen, and "little people," Horty is finally accepted. But he is not safe. For when he loses three fingers in an accident and they grow back, it becomes clear that Horty is not like other boys - and this "difference" is something that some people might want to use. Now Horty knows that his difference is a risk not only to his own life, but to the lives of the outcasts who have provided him with a place to call home. 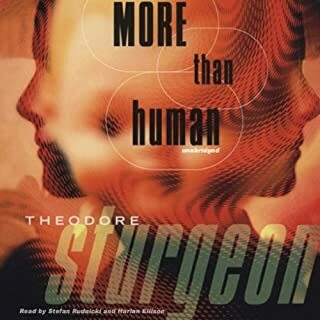 ©1978 The Theodore Sturgeon Literary Trust (P)2009 Blackstone Audio, Inc. I first read this book over 50 years ago. 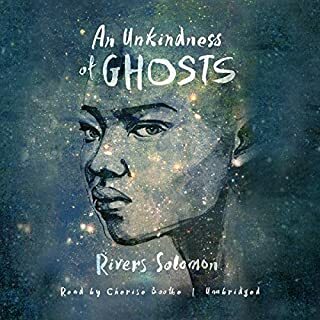 I loved it then and was so excited when I discovered that it was available on Audible! Now I listen to it at least once a year. I read this story more years ago than I care to recall, and was surprised to see this audio version of it. I snapped it up, and started listening on a long road trip. Although it starts out stronger than it finishes, it's still a wonderful story about love, retribution, and the nature of humanity. Mr. Garcia is an excellent reader, and gave each character his or her own personality. Very much enjoyed listening to this recording, and very much recommend it. In a goodwill. It was so lonelu, and looked interesting. I just had to give it a home. Upon reading, I couldn't put it down. Honestly, When I saw it was avaliable in Audio, I had to jump on it. It's a fantastic story, with villans, Aliens, Freaks, and wonder. I would highly suggest it to anyone. Horty Bluett is only eight years old, but his short life has already been utterly miserable. One day, after suffering at the hands of his classmates and his adoptive parents, he runs off and joins the carnival. The only thing he carries is his sole possession — a jack-in-the-box doll named Junky. Junky has hard shiny eyes and Horty gets nervous and sick when Junky isn’t around. At the carnival, Horty finally finds acceptance among some of society’s outcasts. For the first time in his life, he feels like he’s part of something — that he’s participating in life instead of watching it go by. As Horty gets older, he begins to realize that there’s something weird about the carnival. The man who runs it, who everyone calls Maneater, has some sort of genetic research going on and he may be a danger to Horty and to the world in general. And it all has something to do with Junky’s strange jeweled eyes. The Dreaming Jewels, published in 1950, was Theodore Sturgeon’s first novel. 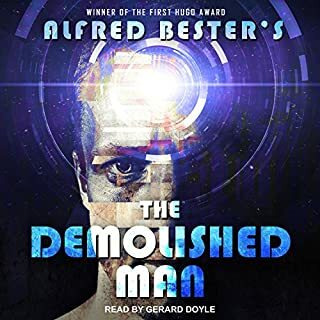 It’s short (5 hours on audio), covers many years (Horty grows into a man during the novel), and the focus is on character development and human interaction rather than spaceships, aliens, and gadgetry. 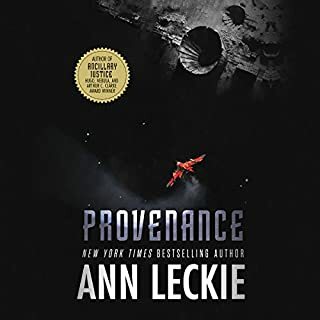 In many ways, it’s a coming-of-age story that deals with the horrors of bullying and child abuse — themes which are not common in old science fiction novels. Most of the imagery in The Dreaming Jewels is creepy or ugly — the jack-in-the-box, various injuries and deformities, and the whole carnie culture. But as Horty grows up in this environment, he also experiences the beauty of art, music, and literature and learns how they contribute to the evolution and ethics of the human species. He also learns to love. This juxtaposition of ugliness and beauty is quite unsettling. It’s hard not to care for Horty, an unloved orphan, but I had a hard time connecting with any of the other characters because they’re so sketchily drawn. Also vague is the explanation of the how the dreaming jewels work — the focus is definitely on the social rather than the scientific aspect of the story. The Dreaming Jewels is disturbing — it’s not a book to feel comfortable with, but I appreciate its uniqueness and admire how well it has aged. The Dreaming Jewels was also published as The Synthetic Man. 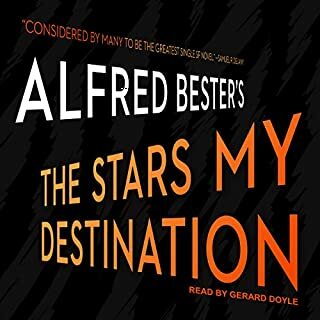 I listened to the audiobook version read by Paul Michael Garcia who did a nice job.